Find and share homes with just the touch of a finger! Our personal real estate app allows you to view MLS listings and send us property inquires while you’re out viewing homes, making your next move easier than you ever imagined. 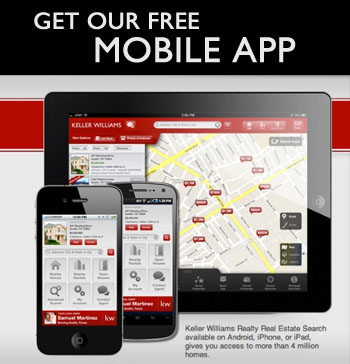 Click here to download our app today! Dynamic Map: Add a pinpoint or draw a perimeter to see nearby homes for sale, open houses or rental properties. Share Information: Easily share homes through text, email, Facebook or Twitter. Set an Appointment: Call or email us to set up an appointment while viewing a listing on our app. GPS Enabled: View open houses in your area.